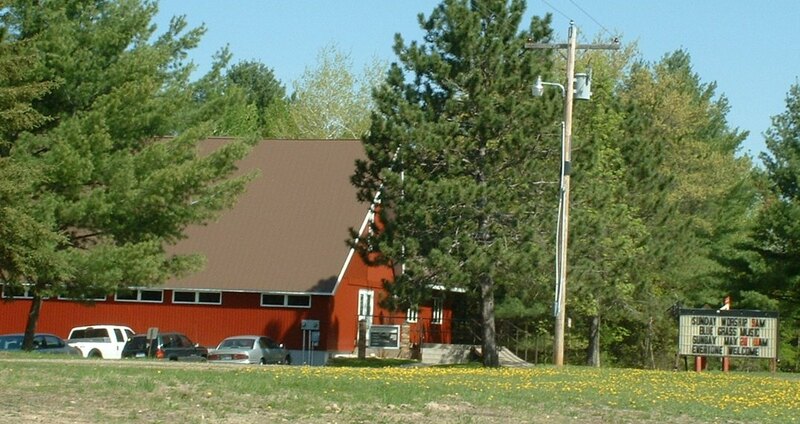 Do you have photos, historical accounts or other items pertaining to the Outing area? Would you like to share this historical information with the world? 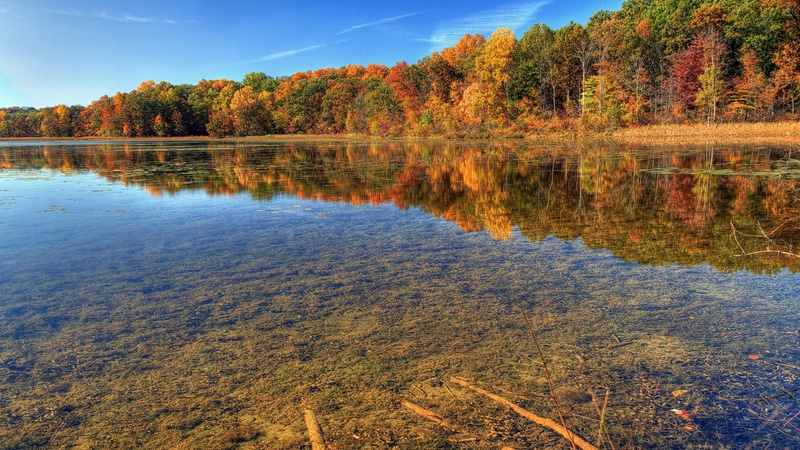 LakesnWoods.com would like to publish your Outing photos (current or historical) or historical accounts on this website. Original materials can be returned and your privacy will be respected. 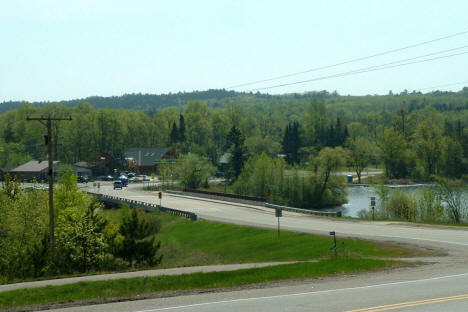 According to the United States Census Bureau, the township has a total area of 93.5 km² (36.1 mi²). 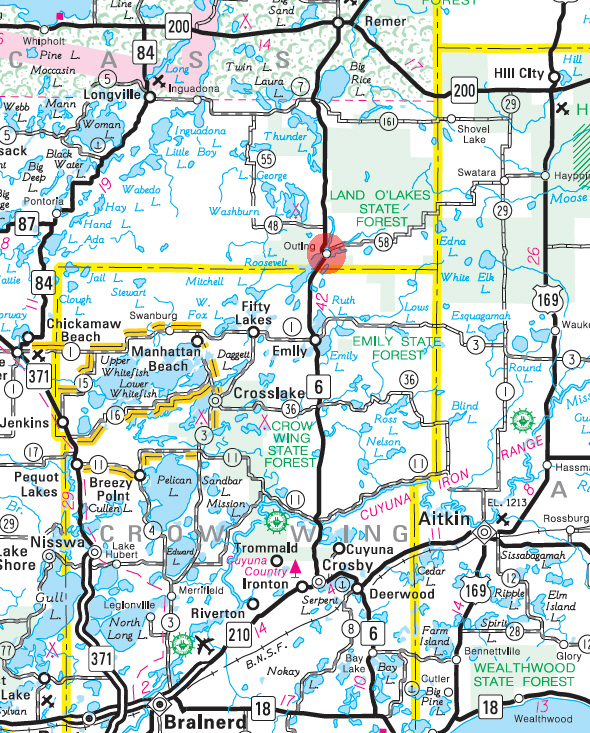 77.8 km² (30.0 mi²) of it is land and 15.7 km² (6.1 mi²) of it is water. As of the census of 2000, there were 498 people, 249 households, and 164 families residing in the township. The population density was 6.4/km² (16.6/mi²). There were 1,023 housing units at an average density of 13.1/km² (34.1/mi²). The racial makeup of the township was 98.39% White, 0.60% Native American, 0.20% Asian, and 0.80% from two or more races. Hispanic or Latino of any race were 0.40% of the population. There were 249 households out of which 12.4% had children under the age of 18 living with them, 63.9% were married couples living together, 0.8% had a female householder with no husband present, and 34.1% were non-families. 30.1% of all households were made up of individuals and 15.7% had someone living alone who was 65 years of age or older. The average household size was 2.00 and the average family size was 2.45. In the township the population was spread out with 13.1% under the age of 18, 2.4% from 18 to 24, 14.1% from 25 to 44, 39.0% from 45 to 64, and 31.5% who were 65 years of age or older. The median age was 57 years. For every 100 females there were 124.3 males. For every 100 females age 18 and over, there were 116.5 males. The median income for a household in the township was $32,708, and the median income for a family was $40,625. Males had a median income of $35,833 versus $16,563 for females. The per capita income for the township was $21,294. About 2.1% of families and 6.3% of the population were below the poverty line, including none of those under age 18 and 6.1% of those age 65 or over. 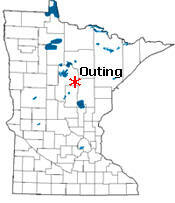 OUTING, a post office in Crooked Lake Township, section 27, since 1936; located in Crow Wing County, 1908-36, at which time it transferred to Cass County; it developed as a summer resort area with a general store and hotel. 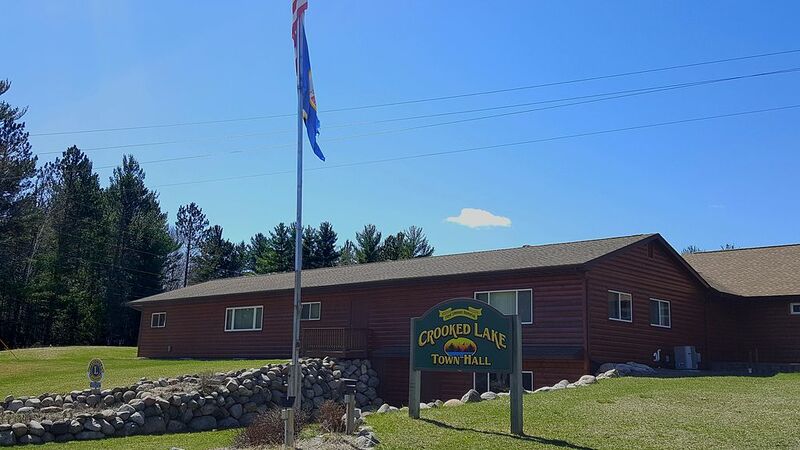 Township board meetings are the 2nd Thursday of each month at Crooked Lake Town-hall at 7:00 pm. 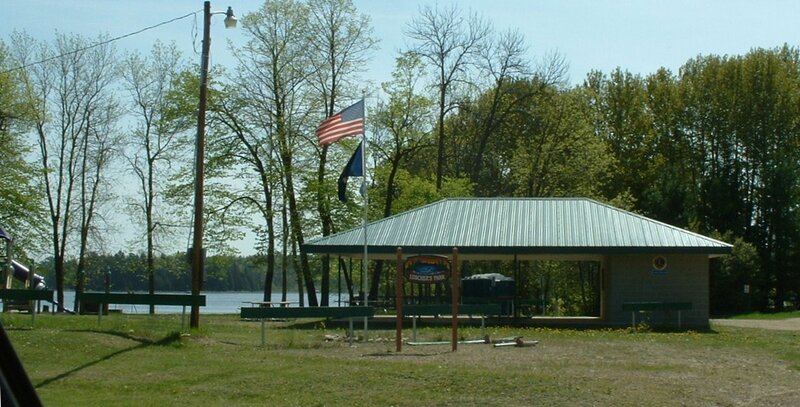 Luscher’s Park is located on beautiful Lawrence Lake on County Road 58 just east of Downtown Outing and has brand new playground equipment and handicapped accessible restroom facilities. 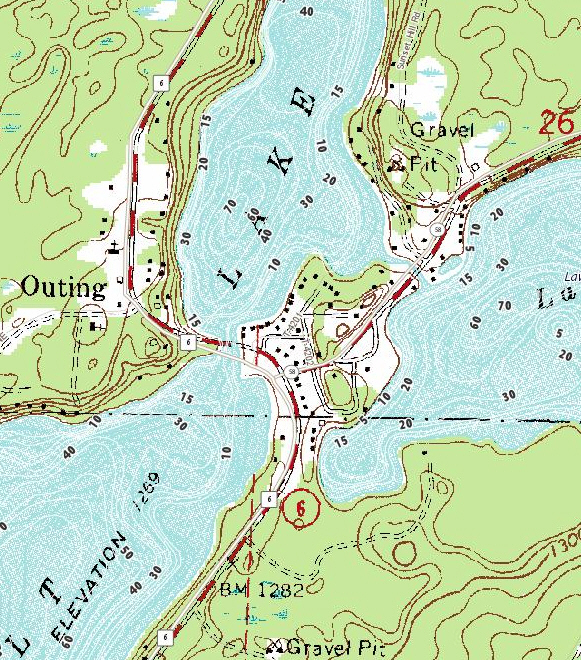 There is a public boat landing for Lawrence Lake with a waterway to Roosevelt Lake. There is a fishing pier adjoining Luscher’s Park. For the past 70 years, Bear Paw Lodge has been renting cabins for summer enjoyment on beautiful Lake Washburn and Cub Lake in Outing, Minnesota. 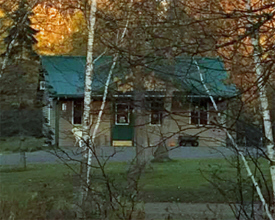 Bear Paw offers a rustic cabin experience you won’t find anywhere else. 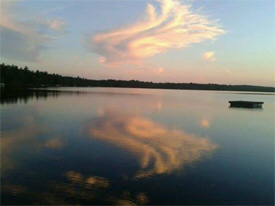 Wake up with the loons and finish the day with a campfire under the stars; Bear Paw has the true Northwoods experience you’ve been looking for! Residential excavation and grade work, including basements, driveway, sewer systems, landscaping, demolitions and much more. Klw Construction is a general contractor that offers roofing, sunroom construction, renovation and other services. 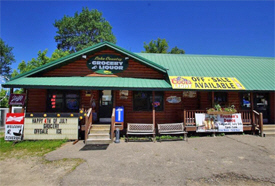 We are a local Grocery Store, Meat Market, Full Service Deli, Pizza Shop, and Off Sale Liquor and Beer Store. We are North Central Minnesota’s Full-Service Real Estate Company with over 19 years’ experience. 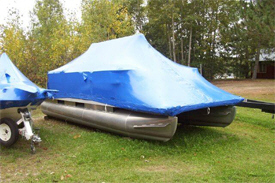 We Specialize in Lake Shore, Hunting/Recreational, Commercial and Residential Properties. Whether you’re thinking about buying or selling - we can do it all! 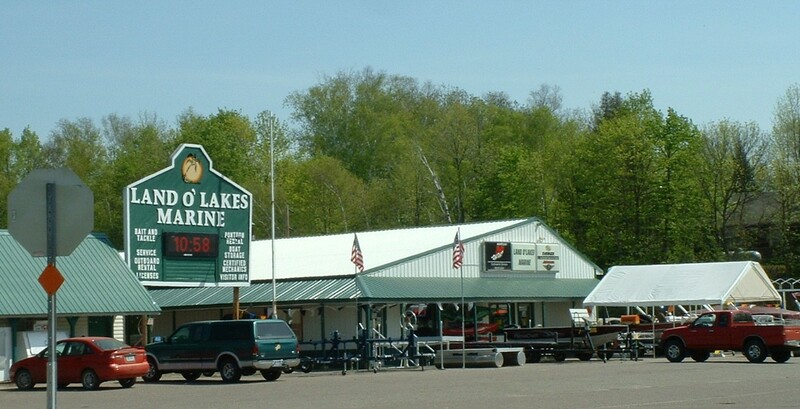 Located in the Heart of the North Country, Land O’ Lakes Marine is owned and operated by Kirk and Dee Lindeman-Smith. 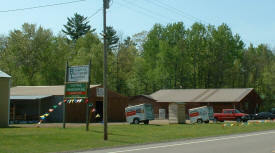 Kirk and Dee bought the business from Bernie Prinzing in January of 1986. Formerly called Trader's Palace Marine, they changed the name in the early 1990’s, to reflect the beautiful part of the country and the fact that they are located in the Land O’ Lakes State Forest. 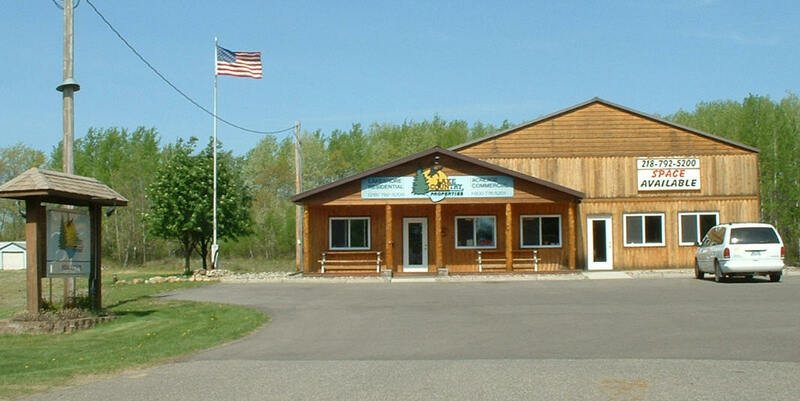 We are a family-owned and operated company since 1997, servicing on 24 lakes surrounding the Emily and Outing area. 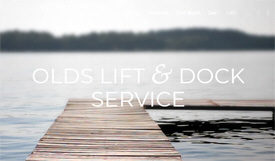 Take a look through our site to learn more about our services, and please don’t hesitate to reach out with any questions you might have. We offer numerous massage techniques from relaxation to theraputic, including Swedish, reflexology, deep tissue, detoxification, and hot stone. Whatever your preference or need, our highly trained massage therapists have the skill and experience to serve you. 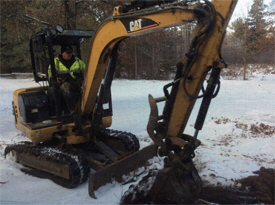 Outing Backhoe Service has the tools and equipment to get the job done! 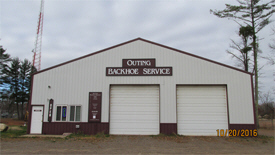 We have backhoes and bobcats ready to help with your project. Our crew is experienced and professional. We offer a range of excavation services including: Lot Clearing Finish Grading Roads & Driveways Demolition Soil Conditioning Compacting And more! 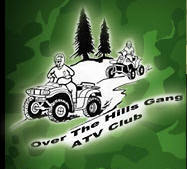 The Over The Hills Gang is an ATV Club created to protect our right to ride all the great trails available to us. 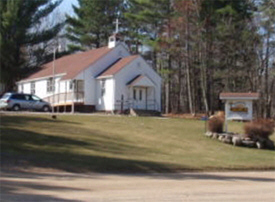 We are a dedicated group of around 350 people of varied ages from all across Minnesota. We believe ATV riding is an outdoor, family oriented, fun activity. Our membership includes a variety of experience levels, interests and abilities. 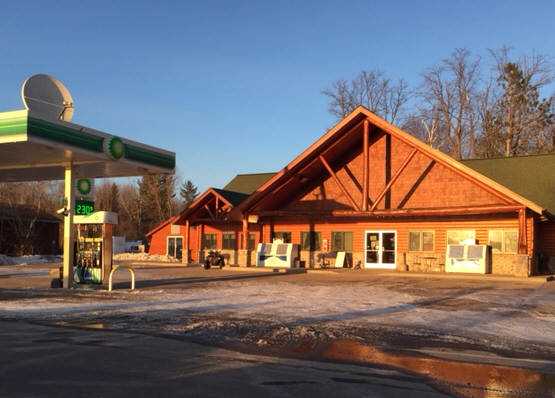 Gas Station, Convenience Store, Bait and Tackle. We fill Propane, A little bit of everything. Caribou coffee, fresh rolls and sandwiches daily. 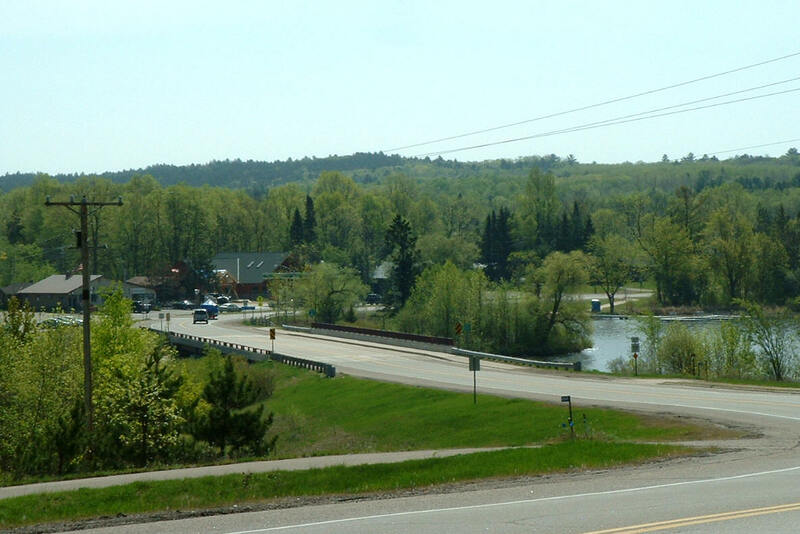 10 years ago I began my Real Estate Career right here in Outing, MN. 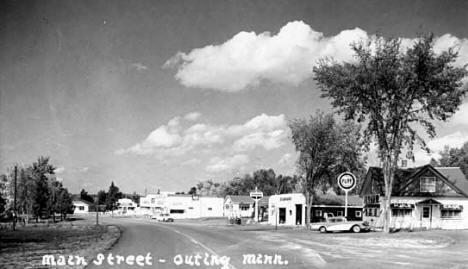 I love the area and am Gambling Manager for The Outing Chamber of Commerce, Treasurer of the Over the Hills Gang ATV Club. 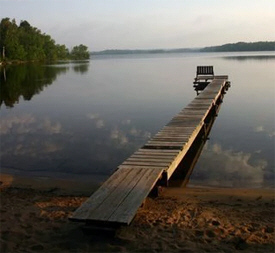 This area is a wonderful place to spend your relaxation time. I love working with people to help find them their hide-a-ways and have worked with some buyers for over 5 years to find that perfect place in our north woods. 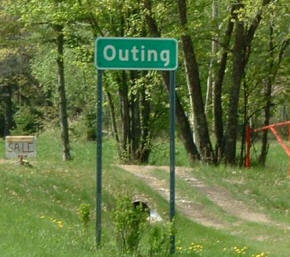 It's the spot to be in Outing, Minnesota! Great food; choose from salads, burgers, steaks, fish and pasta dishes, sandwiches’ and more. Stop by and relax with a drink from the bar. 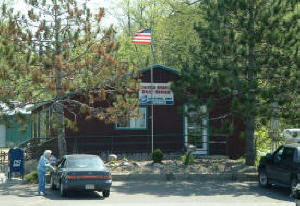 The Village Inn Dining Saloon is fine dining in a casual atmosphere. Bring the family! There is a game area for a round of darts, a game of pool, foosball and video games. 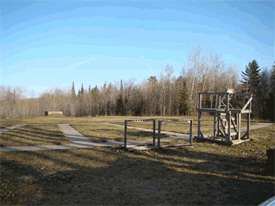 Or enjoy the outdoors and try your hand at horseshoes. 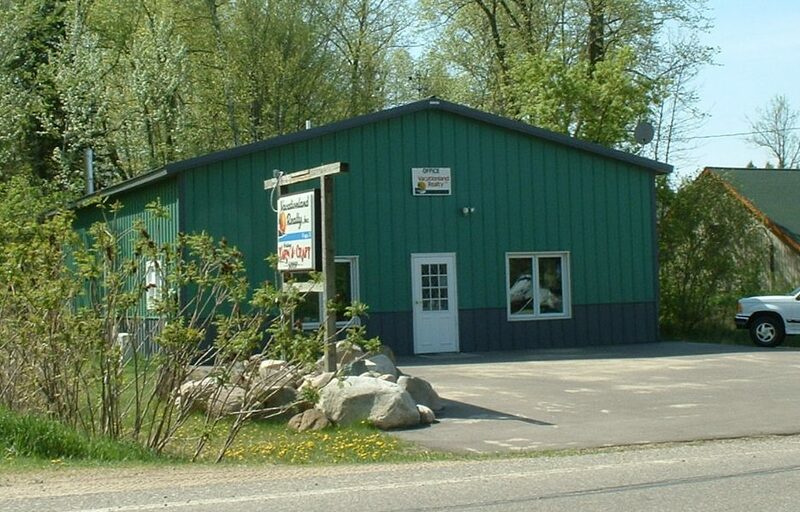 Whether it's lakeshore, hunting land, commercial, investment or residential property, we are here to help you in the buying and selling process. Together our agents bring years of leadership and business expertise, in addition to knowledge and experience in the world of Real Estate.